Stephen Roper Brass Wrench Award! Congratulations Stephen on receiving the Brass Wrench Award for the second year in a row! “Brass Wrench” Teaching Assistant Award, selected by fourth year mechanical engineering students for outstanding contribution to MECH 465. Congratulations to Luke Ryan and Christopher Woischwill who have both successfully defended their masters theses on “Finite Element Analysis of Nanometal-Polymer Hybrids with Experimental Validation“ and “Large Scale Topology Optimization”. Luke and Chris have both made great contributions to the lab in their time spent in the SMSD group. We wish you all the best with your future endeavours! Chris W. new career wishes! 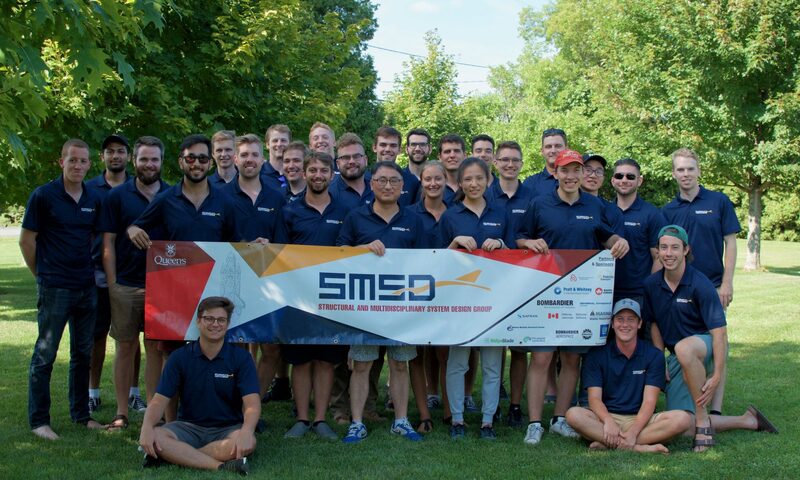 Dr. Kim and the members from the SMSD lab would like to congratulate one of our new alumni Christopher Woischwill on starting his career at General Motors Canada! Chris, we are positive that you will be an excellent addition to the GM team. You have done a fine job in SMSD for many years and sure deserve the position in new job that they are giving you. Congratulations, it will be a great experience for you! SMSD would like to welcome our newest member Jack Olsen. Jack will be completing his Master’s Degree under the supervision of Dr. Kim. Best of luck over the next 2 years! Congratulations to Professor Willing, a PhD student alumni of Dr. Kim, who has been hired as an assistant professor (tenure track) in the Department of Mechanical and Materials Engineering at Western University. Professor Willing completed his PhD thesis on multiobjective design optimization of total knee replacements for reduced wear and improved kinematics before moving on to pursue a postdoctoral fellowship at the Hand and Upper Limb Center (HULC) at Western University. SMSD would like to wish Professor Willing the best of luck in his new career! For more information on Professor Willing’s PhD research with SMSD please refer to publications 15, 17, 24, 31, and 33. SMSD would like to welcome Bright Yu, a PhD candidate from the Beijing Institute of Technology. Bright will be on exchange researching with SMSD for the coming 2 years. We hope you enjoy your time here in Canada Bright.